Official Summary: The year is 1180 A.D. and times are very dark. England is lawless for the most part and the people live in fear. Rising to power during this time is the vicious and brutal knight Ajax de Velt. His mission is to conquer a large stretch of the Scots and Welsh border, commandeering wealth and property along the way. He wants to be the most feared and powerful warlord in all of England, Wales and Scotland, and he is well on his way. The last in a long line of dark and brutal warriors, Ajax is the most ruthless and ambitious knight in the Isles; even the heartiest warriors fear the man for his coldblooded tactics. More than that, his bloodlust, as well as his sheer skill with a blade, is legendary. But as Ajax and his army conquer the latest castle in his plans to secure the borders, he unexpectedly meets his match in a spitfire of a woman named Kellington Coleby. Beautiful, intelligent and feisty, Lady Kellington refuses to surrender to the man as handsome as he is brutal. The warlord and the maiden go head to head in this unforgettable story of love, battle, devotion, fear and adventure. My Thoughts: Ajax de Velt, the darkest of knights had no heart – not because he had a choice, for he did not. His heart lay buried within his mother’s unmarked grave. Brought up by a demanding, hard father he learned all his cruel and merciless methods of warfare from him. The biggest lesson was give no quarter—leave no one living, NO ONE. He was a man driven with ambition to claim as many castles he could, all with the same unwavering drive. He was a colossal warrior, his reputation preceded him and no man dare cross him. Lady Kellington, daughter of Sir Keats Coleby of Castle of Pelinom, was an unusual women. Full of grit, bravery and a passionate nature, she would not plea for her life when told she should. She bravely told Ajax de Velt anyone besieged had the right to defend themselves. They did nothing wrong to warrant being put to death. At first Ajax was intrigued, not understanding any of what she spoke. At this point I started feeling sorry for this dark lord for he truly didn’t have the emotion to understand what he did was senseless cruelty. It was just the way of war. I was reminded of Scheherazade, 1001 Nights. As long as Kelli had his attention he would spare her life. She fascinated him, and didn’t cower or back down as others. The understanding between these two slowly grew. She saw goodness in this knight where others did not. It was beautiful to see the relationship grow between the two and rather scary, for Kelli didn’t know how to keep quiet what was in her mind. This story had intense moments, starkly contrasted to some very tender ones and with a depth I’ve begun to expect from Ms. Le Veque’s writing. The story’s full-fleshed characters drove the story forward. Superbly crafted, I was gripped by this story of surprises and twists keeping me on edge. As I’m reading/listening more and more to this author’s writing, she loves to pull us into a dark, dangerous world, and scares the wits out of the reader. With her writing style and addictive plots, there is never a time I could put one of her books down once I’ve started reading. This is the first time I’ve listened to a voiceover from Kiff VandenHeuvel. I was most impressed with the production. He beautifully mirrored the raw emotions of the characters, with perfect timing. I didn’t feel I was being told a story, I was watching it in film. His acting training had an opportunity to shine with this story. When Ajax spoke at the beginning of the story, his voice was void of everything, bottomless and very scary. While Mr. VandenHeuvel’s voice for Lady Kelly was full of emotion and remarkably feminine. The production produced a range of emotions from me, all very intense. If you haven’t started reading this author, try one of her books, particularly if you enjoy medieval historical romance with a dark edge. 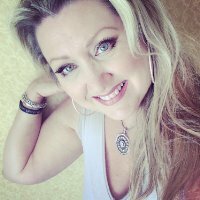 About the Author: KATHRYN LE VEQUE is an Amazon All-Star author, and a #1 bestselling, award-winning, multi-published author in Medieval Historical Romance and Historical Fiction. She has been featured in the NEW YORK TIMES and on USA TODAY’s HEA blog. “This author… genius…!” ~ Ind’Tale Magazine In October 2014, Kathryn was the 31st MOST READ author on Amazon. She is extremely prolific with over 50 published novels and 37 #1 Hot New Releases in Medieval Historical Romance since May 2012. When new readers see how many novels she has published, the inevitable question is… “She writes so many novels! Are they any good?” The answer is… YES!! Welcome to Medieval England – hard-core, battle-scarred, power-driven alpha knights of the highest Norman order and the women who love them. Like High Middle Ages action and romance? Welcome to the Le Veque Medieval Machine. Kathryn’s Medieval Historicals have been called ‘detailed’, ‘highly romantic’, and ‘character-rich’. She crafts great adventures of love, battles, passion, and romance in the High Middle Ages. More than that, she writes for both women AND men – an unusual crossover for a romance author – and Kathryn has many male readers who enjoy her stories because of the male perspective, the action, and the adventure. 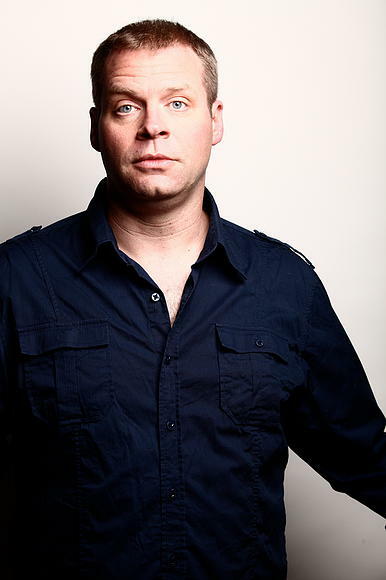 About the Narrator: Kiff VandenHeuvel is originally from Grand Rapids, MI and is an alumni of The Second City comedy theatre. He has performed on film and TV in projects ranging from NBC’s Parks and Recreation, HBO’s Behind the Candelabra, Nickelodeon’s Incredible Crew, Nightcrawler (with Rene Russo and Jake Gyllenhaal), Star Trek Into Darkness and Danny Collins (with Al Pacino). Kiff’s latest endeavor is playing “Cliff Rich”, Richie Rich’s father on the new Netflix series, Richie Rich. Kiff also performs with the very popular “That Voiceover Improv Thing” Podcast which airs monthly at thatvoiceoverimprovthing.blogspt.com. Kiff lives in LA with his wife and daughter. 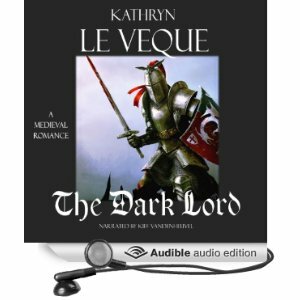 This entry was posted in Audiobook, Audiobook Review, Dark Romance, Historical Fiction, Historical Romance, Medieval Romance, Romance, Romantic Suspense and tagged Audiobook Review, Kathryn Le Veque, Kiff VandenHeuvel, Medieval Historical Romance, The Dark Lord, Titan Series. Bookmark the permalink. This is definitely one I want to read. I have the anthology, Dark Deceptions, which features “Netherworld”, a medieval romance by Kathryn Le Veque. It will be a good introduction to her writing for me. Oh, Carol, Kathryn will open a completely new world to you. I’ve a lot of her books in bundles, but when I can listen to them in audio, it makes the story fabulously real! Thanks for stopping by, Suzan. I know you’ll enjoy this book. I’ll be listening to your Findley’s Lass very soon! I haven’t read any of this author’s books, but I do have one on my Kindle. I will have to move it up on TBR list! 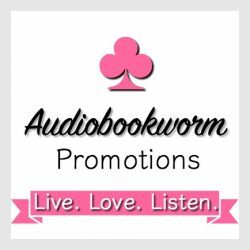 I love audio books… Here is a really good one…. Thank you for the reblog. It is a really good one. The Eden Factor by Kathryn Le Veque is one of my most recent reviews of her books. Excellent, excellent story.